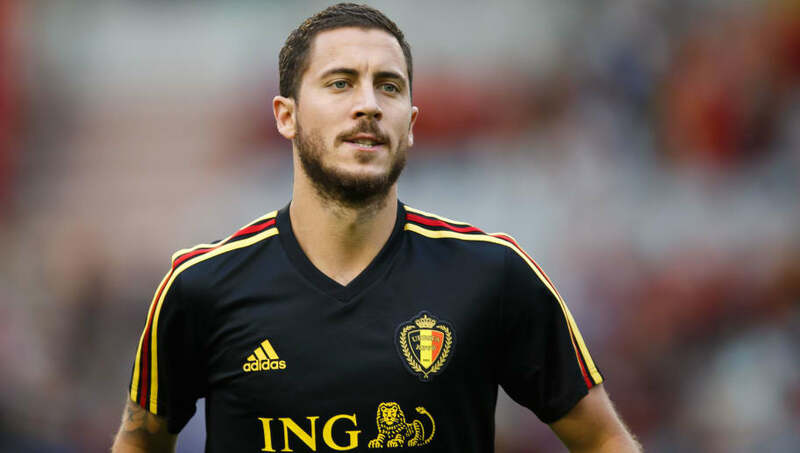 Ahead of the upcoming ​World Cup, Belgian midfielder Eden Hazard believes that Belgium have everything they need in order to compete at the highest level in Russia​. After reaching the quarter finals in Brazil in 2014, losing out to eventual finalists Argentina, ​Chelsea's creative midfielder believes that now is the time for Belgium to live up to expectations and potentially go all the way at the upcoming World Cup, as reported by ​Goal. With the Belgian Red Devils having a contingent of top class talent, including Hazard, Kevin De Bruyne and Romelu Lukaku, the Group G contenders have arguably one of the most talented squads at this summer's tournament, with Hazard believing they can carry his nation to glory. "I think that we are all in top shape," Hazard said. "Kevin at ​Manchester City, Romelu at ​Manchester United, me at Chelsea, Thibaut [Courtois] at Chelsea. "We all play in great clubs, we all had good seasons. So if we want to do something great, it is now. "The time isn't in one, two or four years. I think now is the moment to be together and do something great. "There is no 'Eden Hazard dependence'. We have 23 players who can play. "Obviously, I am in good shape. I can score and be decisive in the group. There is always a player who is more in the spotlight than the others. It's normal. "But I think every player can find the solution in games. I could play badly in one game and someone else could score or do the right things. "There is no 'Eden Hazard dependence'. Everybody is working for everybody. Everybody is crucial." Throughout the 2017/18 season, Hazard made a total of 51 appearances for Chelsea across all competitions, scoring 17 goals and making 13 assists. However, despite the Belgian's contributions which have seen him become ​Chelsea's third highest Premier League goal scorer, the Blues failed to earn qualification to the Champions League for next season, finishing fifth in the ​Premier League.